Shopee, the leading e-commerce platform in Southeast Asia and Taiwan, kicks off its biggest annual regional shopping event, Shopee 9.9 Super Shopping Day. After last year’s successful 9.9 event which saw a three-fold uplift in orders and a five-time increase in traffic, Shopee is upping the ante this year with a 11-day mega shopping event from 30 August to 9 September. With over 500,000 sellers, around 800 brands and more than 60 partners onboard, users can expect up to 99% off from the largest collection of deals and massive giveaways worth over ₱15 Million. 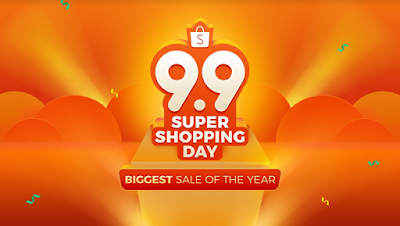 This year’s Shopee 9.9 Super Shopping Day is supported by more than 60 partners, including Grab, Cebu Pacific, BPI, SM Advantage, ABS-CBN Publishing, and ABS-CBN Store. Joining Shopee in its biggest sale of the year, Grab will be giving ₱9,000 worth of Grab rides each to 99 Shopee users; while Cebu Pacific will be giving round trip tickets to Kuala Lumpur, Jakarta, Kota Kinabalu, and Siem Reap. For more information on Shopee Dance competition, check out Shopee’s Facebook page at https://www.facebook.com/ShopeePH/.